In this week's issue of Japanese magazine Famitsu, the developers behind the Wii U title Nintendo Land have spoken about its creation in a roundtable interview. Interestingly, they revealed that ideas for potential mini-game settings had to be put aside as development progressed. Generally it was easy to match the gameplay from the prototypes with one series or another. For example, a game with air and ground battles works well with Metroid. There was a time when Metroid Blast was going to be a Star Fox title, but the prototype featured this vehicle that hovered around like a helicopter and we figured that'd never be a good match for an Arwing. I'll admit that some of the tie-ins, like Donkey Kong and Octopus, might be stretching it a little. With the way the courses are designed, we were originally thinking about making Donkey Kong's Crash Course into an Excitebike or 1080 Snowboarding title at first. Would you have liked to have seen Fox and friends in Nintendo Land? Or do you think these characters - along with other famous Nintendo faces - will make their way into the inevitable sequel? Drop a comment to let us know. I'm more surprised 1080 was being considerd. Agreed, DLC or perhaps Nintendoland 2? I must admit that, though I love Donkey Kong Crash Course, it does seem like a bit of a "stretch" to have it associated with that franchise. Interesting that he pointed that out. They should just make a StarFox 64-like minigame with lots of different levels as well as a fight Vs. Andros and ad it as DLC for NintendoLand. Starfox would be an awesome addition to the pack, I am 100% confident ! Let me have some HD Arwing fun Nintendo !!! I really want to see Excitebike make a comeback. So, really just the themes changed. The games are still there. Thank goodness my beloved Excitebike wasn't tainted by being included in this game. The Excite series is best in the hands of Monster Games. DK's Crash Course is boring, no excite at all. @SpaceKappa Have you played the WiiWare game already? I thought some of the franchies they included and ones they left out, was some odd choices (still really like the game but..). Like, were was Star Fox or Kirby? And what's this ninja star game (I know someone will kill me for not knowing the game that was from until I googled it). @SpaceKappa You should download Excitebike World Rally off WiiWare. If you like Excitebike, I think you'll enjoy that game. @Joshers744 I remember reading in teh manual it was from a game I think, but until you mentioned it I forgot it was even inspiered by a game. So they will kill me too lol. Actually, how about StarFox Wii U instead!! @Mahe @bezerker99 I have, in fact! I'd still like more though. We could have a 1080 HD. I'm glad to hear that 1080º is not forgotten. Yummy. Donkey Kong most definitely IS a stretch. It's like a real theme park, though. The attraction has a theme, just like Batman & Robin - The Rollercoaster. It has little to do with the franchise as far as gameplay goes, but it has a nice DK dressing. That being said, it's a fun game. THAT being said, I think Nintendo could have included more, smaller mini games that are truer to the actual franchise experiences. Excitebike is an interesting choice, though. I never would have expected that. They could've had a Star Fox Assault minigame, a co-op, freeroaming shooter. Like a combination of the Metroid ground battles and Zelda Battle Quest. Nintendo probably only included Takamaru so that they can promote him for the next SSB title and Balloon Fight because Satoru Iwata developed the game when he was younger. As for the games, they can't really just make the mini games an exact replica of the original games. Turning the franchises into mini games was a new idea, that were a different perspective. If they would have made the mini games into exact gameplay copies of the actual games they come from, they might as well have called the game a demo, so I'm glad they made the games different from the franchises they come from. Pick up and play was the idea for this game, to show what the Wii U can do right out of the bix game wise. I'm glad I'm not alone in thinking the DK attraction doesn't really fit and does not fully represent the DK franchise. Who cares about a single attraction?! 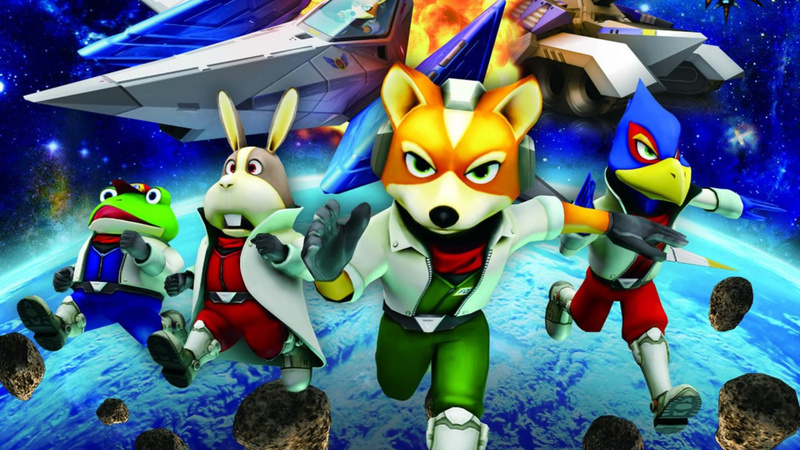 I want a new full Starfox for Wii U! Please, Retro, make it happen! @CJ_Vick Like the last few masterpieces that came out? I'm glad no one has forgotten 1080°. Thought I was alone there. I don't have it yet, but what about pokemon, wario and kirby? Maybe they could even add one that's based on Donkey Kong COUNTRY instead of the original. Interesting to find out they considered including Star Fox. Now what about Kirby and Pokemon? I think this might be something for a Nintendoland 2 which i am VERY confident will happen. Oh come on Nintendo, make it work and release it as DLC. You know you want to. Would i be wrong to be imagining a new star fox that has the option to be third or first person on the ground? Cockpit view in the arwing would be cool too. Just a thought. The gamepad could be used for guided bombs and setting off ground mines and such. I would've liked to see a Kirby attraction more than anything else. 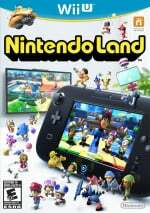 There will probably be a Nintendo Land 2 at some point, and I will probably buy it. Seriously, Super Smash Bros. Brawl seems to be more of a tribute to nintendo, then Nintendoland, They really dropped the ball with this one, what perfect way to launch into the next gen with a game that gives a tribute to all nintendo franchises, Wow, that could have been EPIC. Here's looking at Nintendoland 2, Get on it nintendo! I like Nintendoland enough to care to say this so. Or even for the inevitable sequel,Nintendo Land Resort,which'll be set on Wuhu Island. Banker above beat me to it. We know Nintendo land has update abillity, so who knows, future DLC? After all Nintendo is surely hitting the mark with the Wii U's online capabilities. Save it all for the sequel. There's more than enough left for one. DLC would be good too, because then you could have it all still in one park. Again, Mr. Yamashita: it's never too late for DLC! @Mahe DK Crash course is by far my favorite game in Nintendo Land. It feels much more well designed because it only tells you the basic elements of how to move and control, and you must figure out how to get past certain obstacles. I'm surprised that anyone at Nintendo still cares enough about 1080º to have considered it for Nintendo Land. That's good, though. Terrible soundtrack aside, I really dug Avalanche. If I'm not mistaken, that's the last entry in the series we ever got. I'd definitely buy a new, tricked out 1080º title for Wii U. Anything to see gorgeous, snowy environments in full HD.